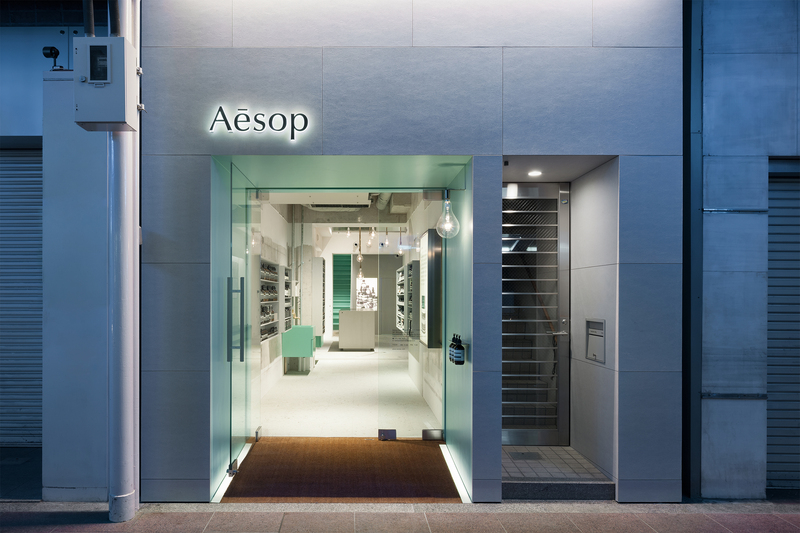 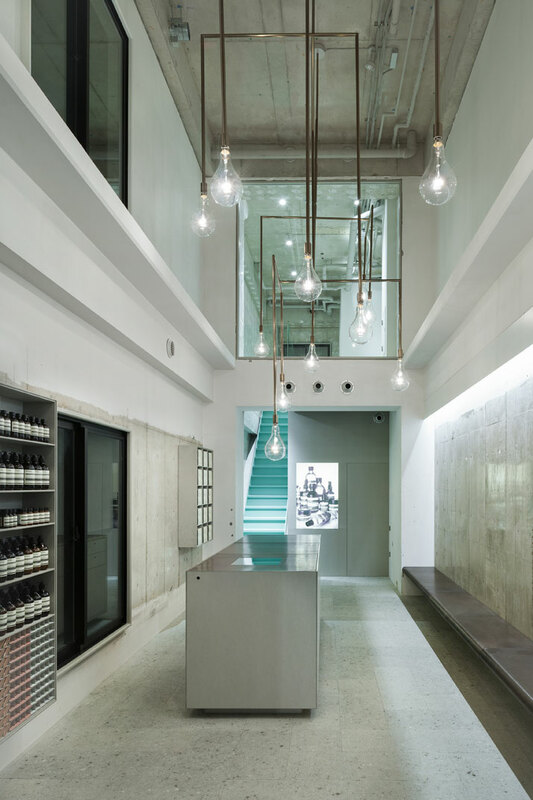 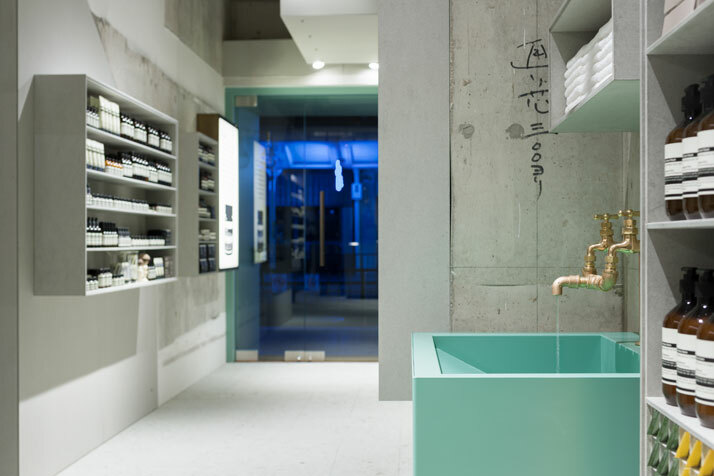 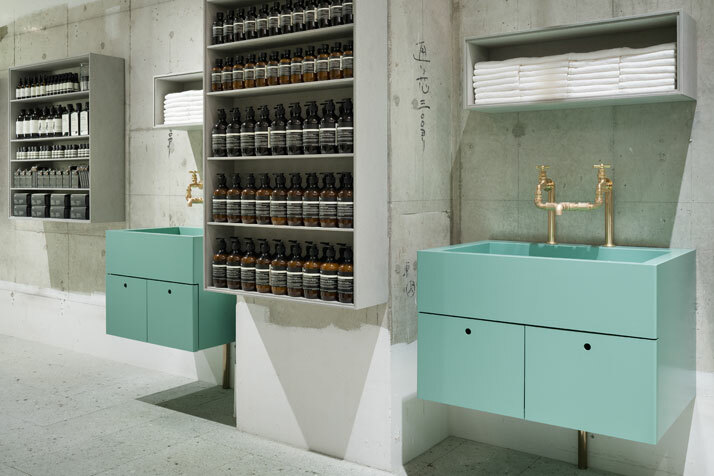 Tokyo-based studio Torafu Architects has recently completed a new store for Australian skin care brand Aēsop in Kyoto, Japan. 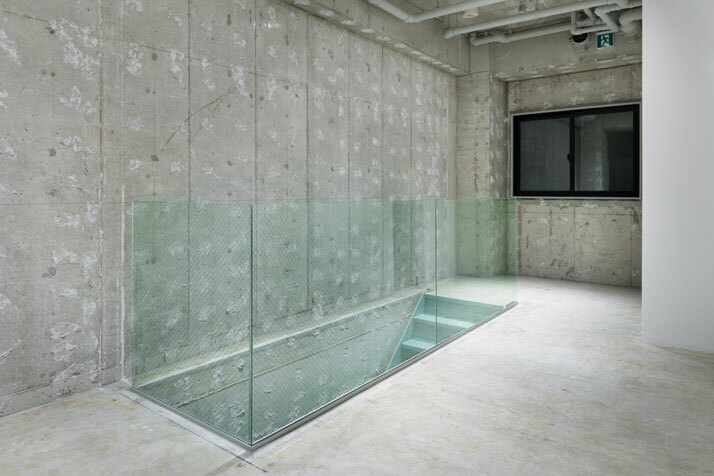 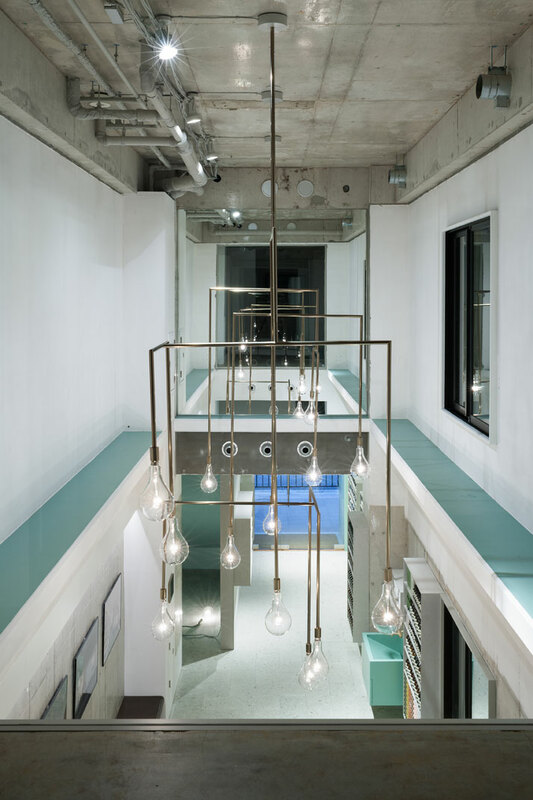 Situated on a busy street in the central shopping district of Kawaramachi, the 86m2-space comprises two levels entailing a retail and small lounge area on the ground level, and a gallery space where guests can socialise on the upper floor. 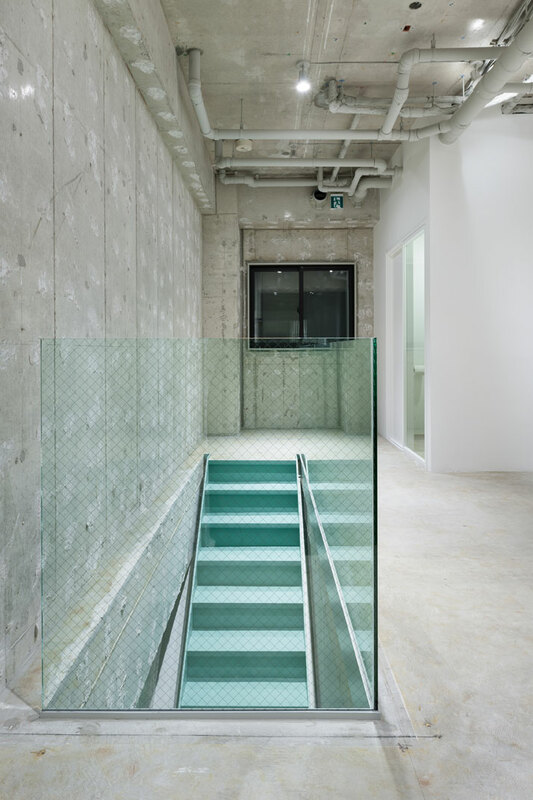 The architects wanted to make the most out of the original building structure. 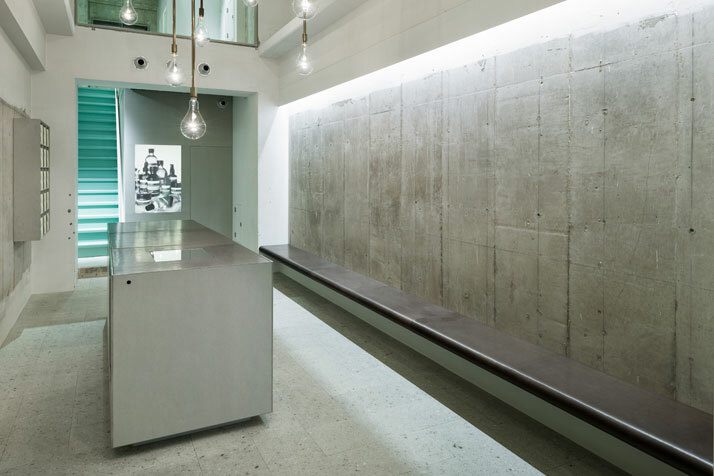 As a result, exposed concrete and irregular wall surfaces have been preserved and integrated into the overall design. 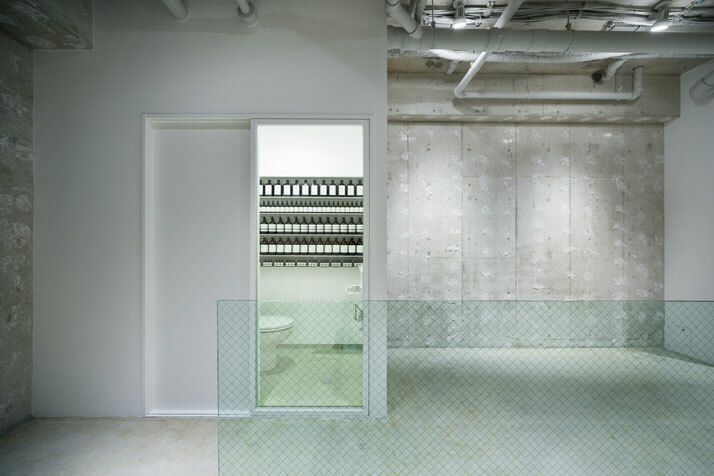 Complementing that choice, the use of soft texture materials (such as flexible board for the shelves and the facade, and porous ÅŒya stone for the floors), together with the natural colour palette and the strategic use of glass, evoke a sense of clarity and purity reminiscent of cool running water. 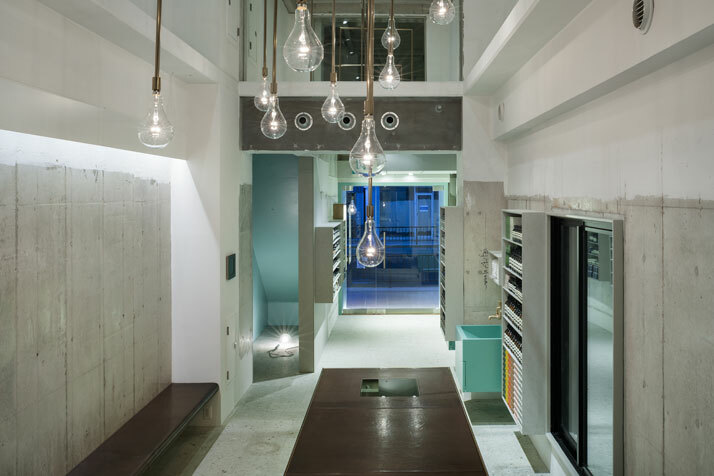 The reference to the element of water is further accentuated by the use of original squid-fishing pendant lights in the centre of the vaulted space. 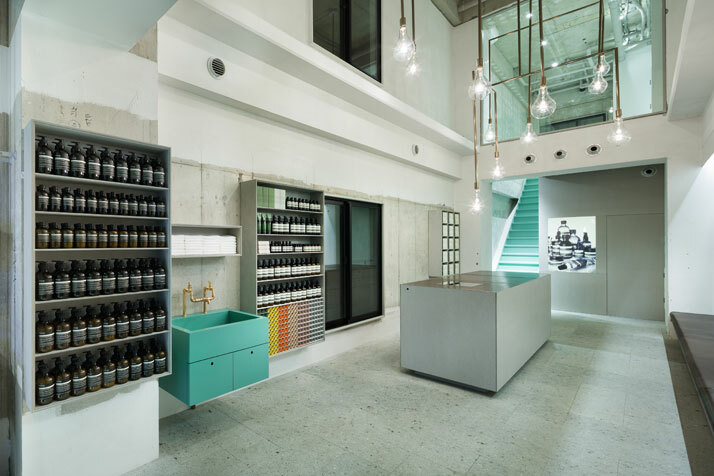 With its overall calm, peaceful atmosphere, the shop is a direct contrast to the busy, colourful street outside.